Henrikh Mkhitaryan is a big admirer of Zlatan Ibrahimovic, but he will not be under any illusions as to the big striker’s mortality. The Armenian, who joined Manchester United from Borussia Dortmund in the summer, seems to have rediscovered his rhythm at Old Trafford after a not so impressive start and is full of praise for his United teammates. 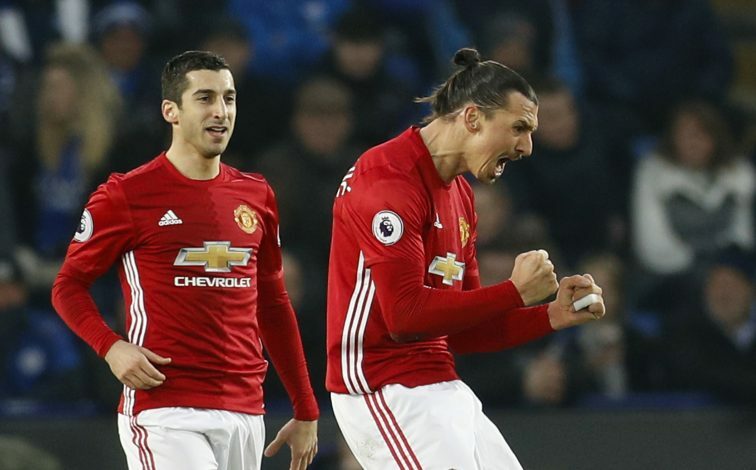 But the midfielder couldn’t resist but to take a pop at Ibrahimovic, who is already enjoying a fan favourite status at Old Trafford. “Everyone knows that he likes to be the God, but he’s not,” the 28-year-old Armenian told Sky Sports . “I mean, he has a very good personality, he’s a great guy. However, Not only Mkhitaryan, the Red Devils’ another summer signing has taken a while to settle down at Old Trafford. World-record signing, Paul Pogba, also had to endure an up and down campaign after his mega money return to Manchester United. But the Armenian insists there is much more to come from the French attacker. “I can say that he has a very big potential,” Mkhitaryan further said. “I think he needs a little bit more time to adapt because it’s not very easy to be worth £89 million.